It would sound surprising to you but yes, Biryani which is one of the most commonly eaten foods is not Indian. This lip-smacking and ‘tagged as Indian food’ was originated in Persia and took multiple routes before arriving to India finally. The word Biryani had come from the Farsi word ‘Birian’ It is cooked over (Dum) and this was perhaps the other reason why it is Persian. Different people are of the different opinion about Biryani. Some people are of the belief that it could have come from Persia through Afghanistan and then to North India finally. Arab traders could have also brought it via Arabian Sea to Calicut. At the time of Mughal era, Lucknow was known as Awadh and hence it is called ‘Awadhi Biryani’ here. It is said that in the year 1856, when the British deposed Nawab Wajid Ali Shah in Kolkata, Kolkata Biryani was not born. Hyderabadi Biryani and Arcot Biryani have a different story. It is said that Aurangzeb deputed Asfa Jahi ruler of Hyderabad and the Nawab of Arcot to overlook Aaru Kaadu region or Six forests which were situated South of Hyderabad. These moves resulted in the origin of Hyderabad and Arcot Biryani. Tipu Sultan was responsible for the spread of Mysore Biryani. But it was the time when vegetarian Hindus were hired as bookkeepers and hence Tahiri Biryani came into being. There are several legends out of which one says that Timor who was lame brought Biryani from Kazakhstan via Afghanistan to Northern India. Another legend says, the Taj beauty, ‘Mumtaz Mahal’ invented a dish for feeding her army that was Biryani as it was considered to be wholesome and energy giving. As per another belief, nomads used to burry an earthen pot full of meat, rice and spices in a pit and when they it was dug a delicacy called Biryani came out. How Biryani Used To Be? 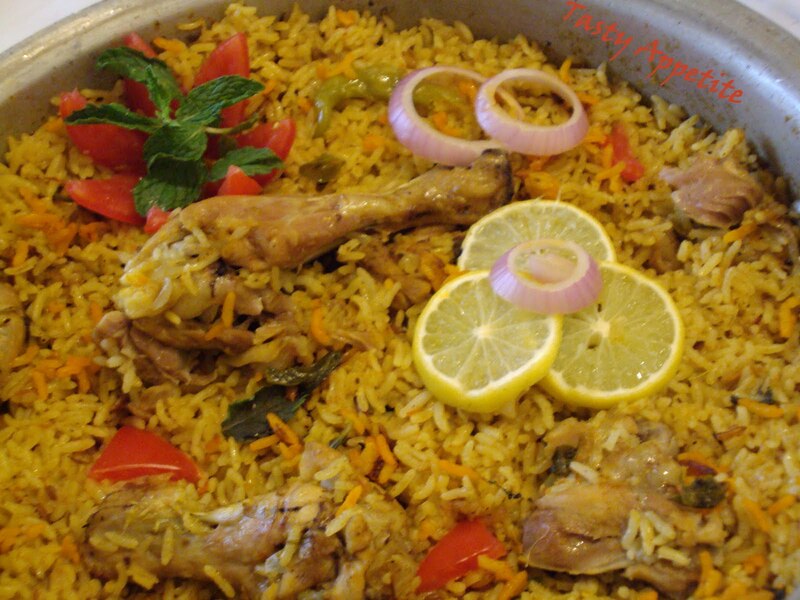 The word Biryani is derived from the Persian ‘word’ ‘Birian’ which means ‘fried before cooking.’ In the olden times, rice was fried without washing in the Clarified butter. Doing so, used to give rice a nutty flavour, it used to burn the outside starch layer and gelatinized it. Once the rice is stir-fried, it was boiled in water along with the spices till they are half-cooked. It was the time when meat was not cooked it was marinated in the paste of Papaya, spices and whole-milk spices. It was the time when Biryani used to be cooked in Handi, the rice and meat are layered and the top layer used to rice always. An interlayer of condiments was introduced between the rice and meat. To give a flowery and herbal aroma mace, essence of screw pine, cardamom and rose water was added that used to give an herbal aroma to Biryani. The Handi is then sealed tightly and put on the coal embers for slow cooking. So, the favourite dish of Nizams and Nawabs had a long history had different stories and different flavours. Explore the different variations of Indian Biryanis here.